If you’d like complete freedom to move around the city and further afield throughout your stay in Barcelona, an excellent way to achieve this would be to rent a scooter or a motorbike, as it will allow you to get to some of the slightly further afield parts of the city quickly, whilst being able to soak up the atmosphere of the city on the way. Depending on the moped you hire, you may also be able to use it to go on trips outside the city. It’s worth taking into account that Barcelona’s weather is pretty reliable throughout the year, so you shouldn’t have any problems in getting about on two wheels. Many of the hire companies only supply scooters with a small engine (49cc – 125cc), which will easily be enough to get you around Barcelona, but wouldn’t be suitable for going on day trips, for which we’d recommend a moped or scooter of a minimum engine size of 250cc. 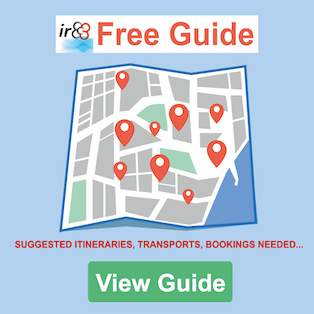 How and where to rent a scooter or motorcicle in Barcelona? 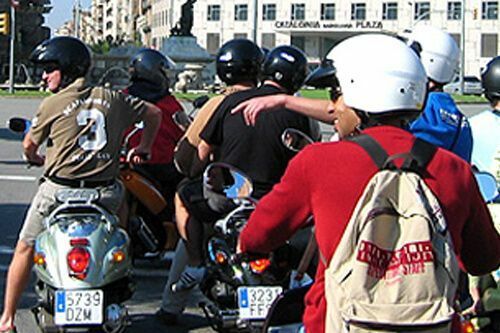 It’s easy to find motorbike and scooter rent companies in Barcelona, and in the past few years the choice has become even greater. As a result of this competition, the prices have reduced considerably, and you’re sure to find good offers, especially if you decide to hire for a few days. Depending on the company you hire from, the number of days you’re hiring for and the model and engine size of the moped, some of the requirements may vary slightly, but in the majority of cases it’s the same. Below we have given you information about the basic and essential requirements. Driving licence: you’ll need to have a driving licence for mopeds that’s valid in Spain (A1 or A). If you’re a citizen of the European Union, your driving licence will be valid in Spain. Another option to hire a moped with a small engine is to present your car driving licence (licence B, which is valid in Spain) which must have been valid for over three years. Failing that, if the moped you’d like to hire is 50cc or under, a moped licence (class AM) will be enough. Security deposit: companies usually require a security deposit to be paid, to protect against any eventuality while the vehicle is in your care. The amount varies according to the company. Advance payment: payment is taken in advance. If you make an advance reservation online, you don’t usually pay up front, but you will need to make the payment in the office when you go to pick up the moped. AND WHAT IF I’M FROM OUTSIDE THE EUROPEAN UNION? If you’re a citizen of a country outside the European Union and haven’t passed the driving test in accordance with the Geneva or Vienna Conventions, you’ll need to gain an international driving licence in the country in which you reside. You won’t need to worry about having a helmet for the driver or passenger, as these will be provided when you pick up the moped or scooter. Also, nearly all the rental companies give you a map, so that you can find your way around the city, and if you wish, you can hire a GPS for a small extra charge. The cost of hiring a moped or scooter will vary considerable depending on the make and model of the vehicle, as well as the engine size. In most case you’ll be able to rent the vehicle for just a few hours or a whole day, but many companies offer good deals if you hire for a few days, and it’s worth taking this into account before making your decision. 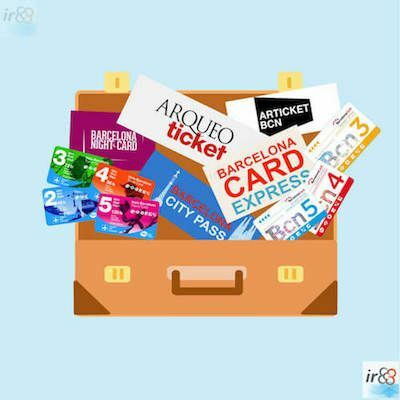 Below we have given you a list of some of the main companies that hire out mopeds and scooters in Barcelona. We do recommend that you compare the various models and prices, in order to get the best deal for you. In making the reservation online, you’ll ensure that the model that you want will be available when you go to pick it up, and that the price you see online is the price you will pay. As well as hiring out mopeds and scooters, some companies also organise trips, guided tours and other group activities, which are without doubt an excellent way to discover parts of the city in an original and fun way, whether for couples or groups of friends. Brightsidetours: a company that organises various themed guided tours in a sidecar. 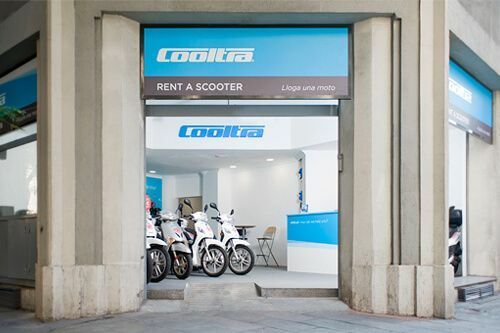 Cooltra: Various guided tours of Barcelona in scooters. 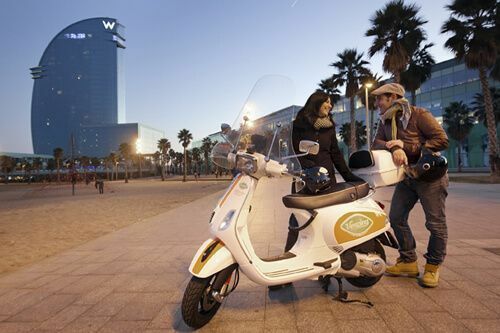 Via Vespa and Vesping:companies that offer themed routes in Vespas throughout Barcelona. * All these companies conducting guided tours in English.